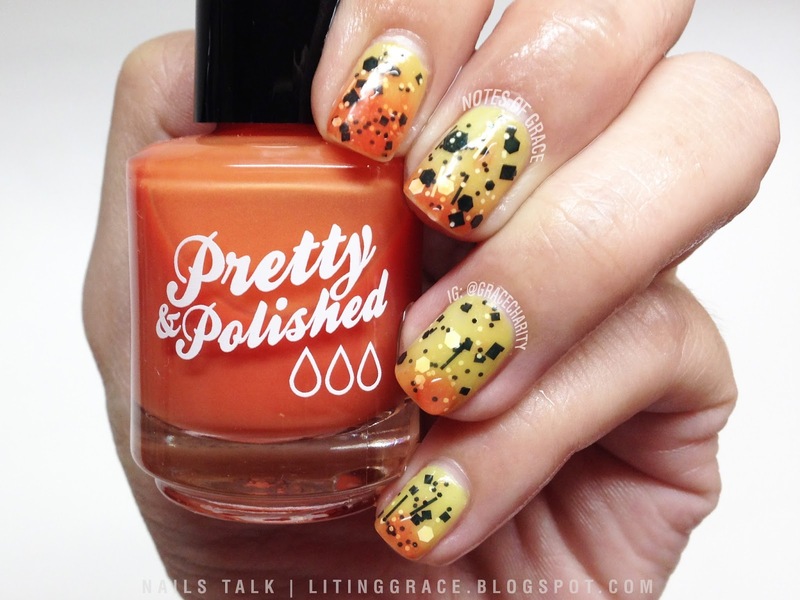 Making an appearance on Nails Talk tonight is Candy Corn by one of the most amazing indie nail polish brand, Pretty & Polished. It's of no secret by now that Pretty & Polished is the top of my list when it comes to color changing polishes. 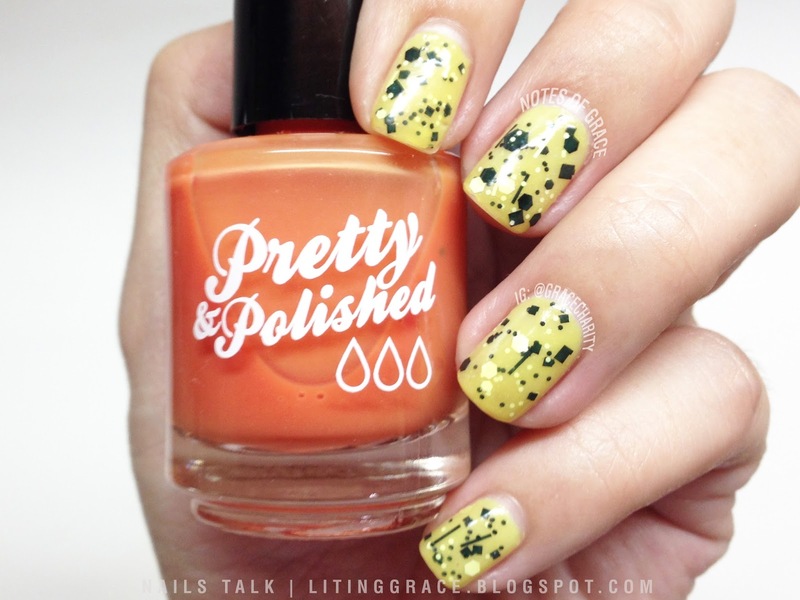 Candy Corn from Pretty & Polished's Halloween 2012 collection is a jelly polish; is a pretty yellow at the normal body temperature or when it's in the warm state. Because of its jelly base, it's also suitable for a jelly sandwich manicure which I had created here using Cover Band Sticks 'n Stones. 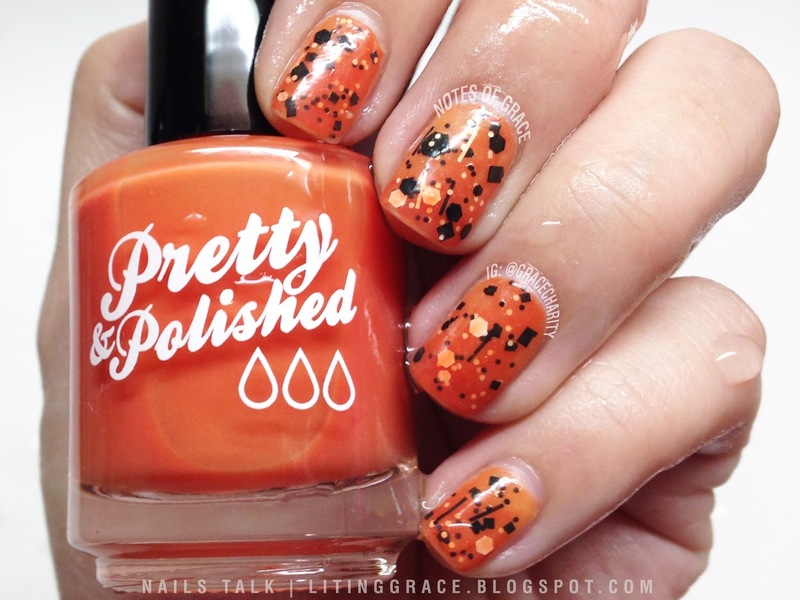 If you prefer to wear it on its own, you will at least 3 to 4 coats to reach opacity. When cold, it turns a dark orange as shown in the photos above. Photos above show the transition stage. No points for guessing which is my favorite shade. 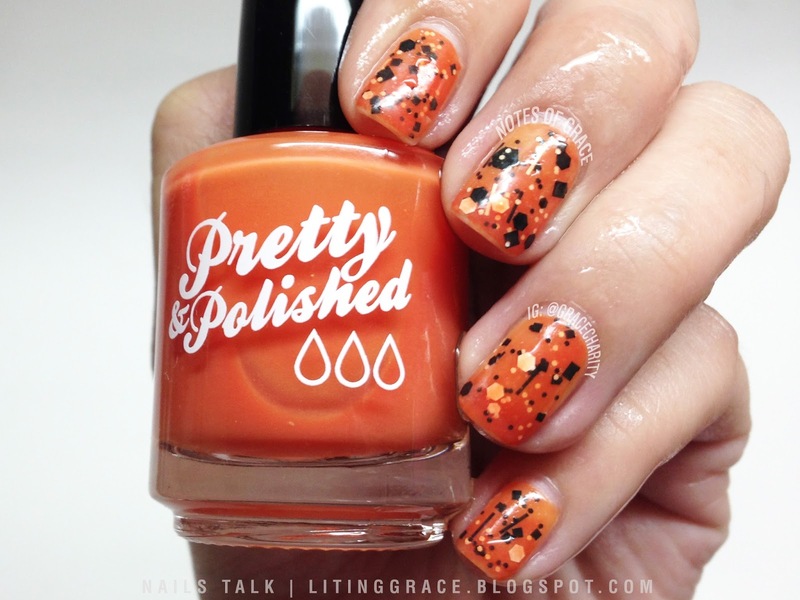 Pretty & Polished is available here and also at Mei Mei's Signatures. Follow them on Facebook and Instagram for updates and information on new collection and colors.